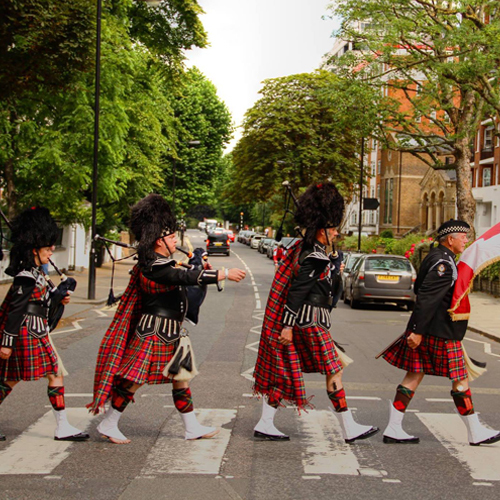 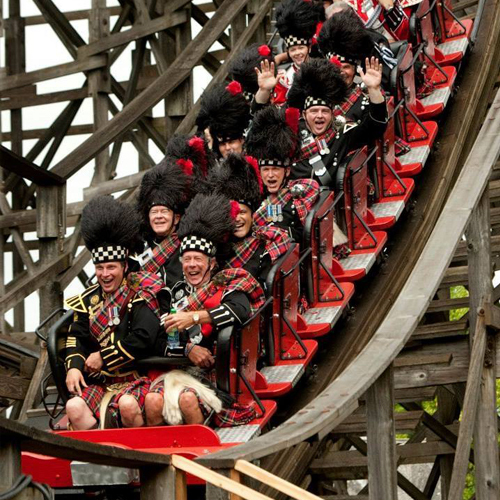 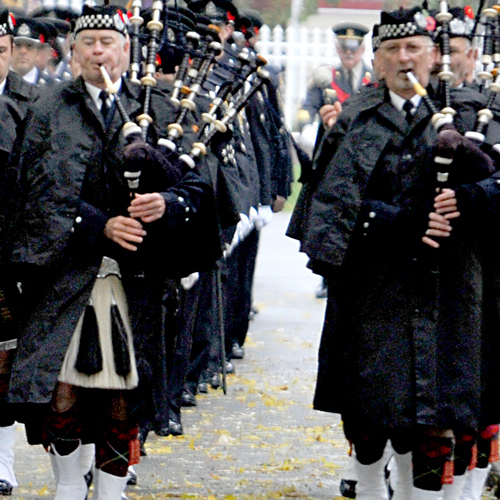 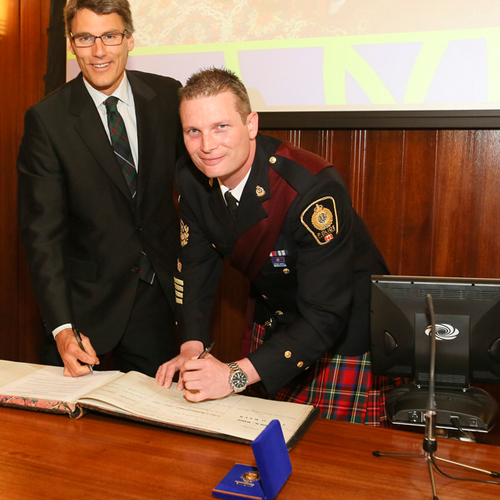 2014 marked the Centennial of the Vancouver Police Pipe Band making us the only police band in the world with 100 years of continuous, uninterrupted service. 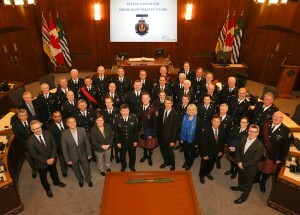 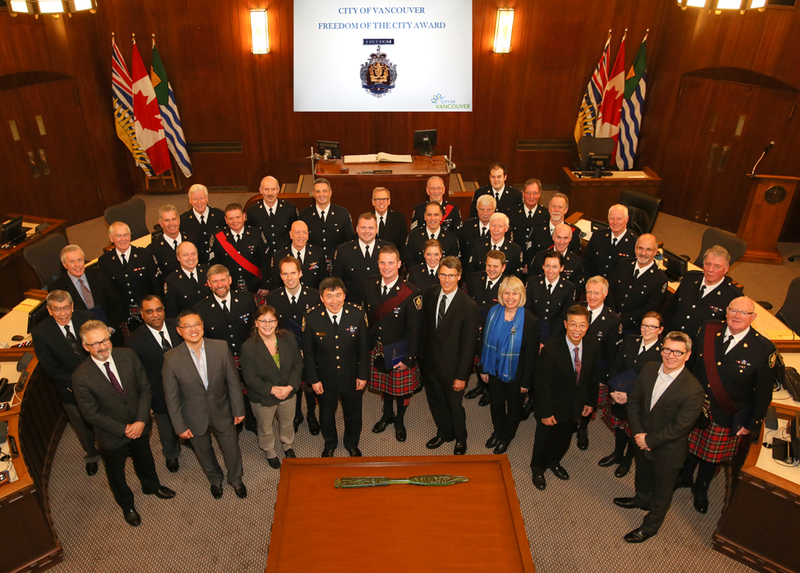 This remarkable achievement was officially recognized by the City of Vancouver by bestowing the honor of “Freedom of the City” on the band at a special ceremony held in Council Chambers. 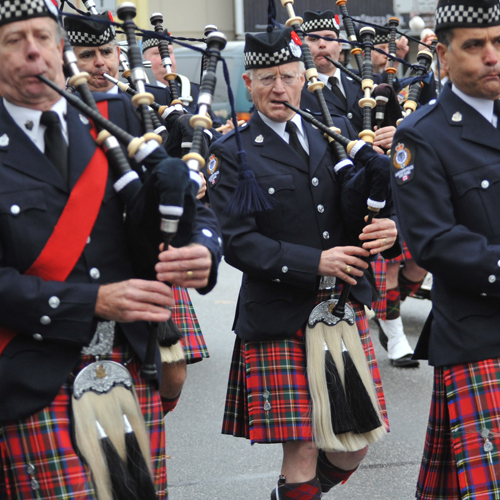 While not uncommon for Regimental Bands to hold the title in conjunction with their Regiment, this marked the first time a band independent of its supporting organization had been granted the title of Freeman.